This year’s Blog Action Day is about “clean water for everyone”, and that’s easily within the realm of topics covered here. There’s a lot of concern about clean water in remote, undeveloped areas, and I certainly support that, but I don’t have much to add. Where I do have a little bit of knowledge is on the sustainability question. The right way to look at the sustainability of a particular conurbation is to consider the size of its hinterland. Places like Las Vegas and Phoenix, located on some of the most arid ground in the western hemisphere, survive as far as water supply is concerned, on a combination of nonsustainable ground water and on expensive water importation systems. The latter appear to be tapped out; see John Fleck’s stories on the other Colorado River. The history and geography of Texas are dominated by its long, peculiarly narrow watersheds. Cat scratch geography. In Texas, particularly the earliest settled parts, the rivers don’t form tree shapes like in the rest of the world, but rather a series of trenches. 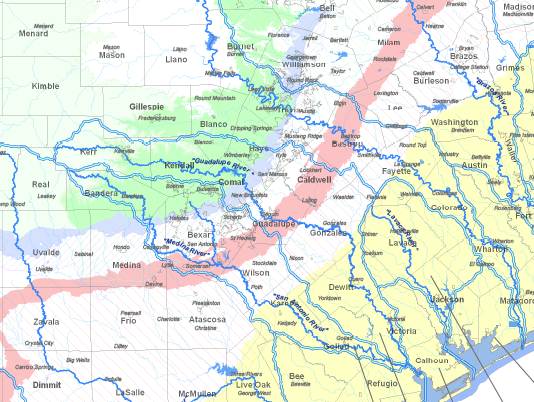 The double lines above show water management zones which are closely connected to watersheds, and to the long, narrow southeast-to-northwest oriented subcommunities that formed the traditional Texas fabric. Though there are many stories about the wilderness in the north and west of Texas, and many stunning images too, it is the central, southern and eastern parts that matter. This part of Texas has a population comparable to that of many important countries, for instance, Australia, or all of Scandinavia. Of course, as is well known, it is the world capital of the petroleum industry, still providing significant production as well as refinery, engineering and management. And, lacking in natural beauty but not in money or warmth, it is particularly heavily landscaped and thirsty. Nevertheless, much of Texas’ prosperity has been based in its burgeoning population, a process which continues through good times and bad. Its present population of nearly 25 million is expected to double by 2050. Which means that for purposes of water planning, demands are ever-increasing. Now, as the map shows, the hinterland of Texas cities is naturally on a narrow strip organized southeast-to-southwest. (There is a natural ordering to these basins much as there is with Canadian provinces. Fortunately, the four great cities occupy separate basins, in the usual sequence from northeast to southwest these are Dallas/Fort Worth on the Trinity, Houston on the San Jacinto, Austin on the Colorado, and San Antonio at the confluence of the San Antonio River and the Medina. Essentially unclaimed are the Brazos which goes through Waco and the Guadalupe whose largest town is Victoria. Of course, the water supply decreases as you move southwest toward the desert. Still, Houston, being at the bottom of the river, has less water problems than Dallas/Fort Worth. Dallas, indeed, is sufficiently squeezed that there is talk of tapping the Ogallala; because of antiquated laws there are no limitations on what can be drawn form a well. All it would take is for the city of Dallas to own a single property on the aquifer to do its own massive draw-down! San Antonio is the worst off of the major Texas cities because of its arid location and relatively small upstream watershed. The water limitations of San Antonio are hitting now. San Antonio also has some cultural weaknesses; the relatively less wealthy and largely Hispanic population is not popular in the rest of Texas. As a Montrealer I have great sympathy for San Antonio. We share not only a certain eccentricity and cross-cultural ferment. We also share in being underrepresented in the world’s awareness given the actual cultural and historical significance. San Antonio is the 7th largest city in the US, with 1.4 million in the city limits (Montreal has 1.6 million) and 28th largest metro area (2.1 million, compare Montreal 3.6 million). And as Montreal has been a crucial point of contact between French and English speaking cultures, so San Antonio is the real gateway between America and Mexico. Of course the last thing Montreal needs is more water! The Katrina episode has firmly convinced me that some cities are more important than others, as sources of culture and human growth. While I wish no ill to the people of Phoenix or Las Vegas, I would feel little sadness if their cities were to decay and vanish the way Detroit is doing. 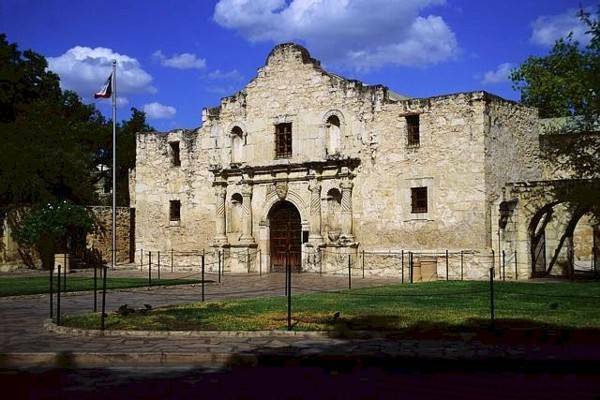 San Antonio, on the other hand, is a city for the ages. The Texan ambivalence to the place is tempered of course by the fact that the centerpiece of downtown San Antonio is the Alamo. So, if the ground water is depleted, if the watershed is inadequate, if two million San Antonians will live on, where does the water come from? It turns out (surprise!) that Texans are mightily protective of their water rights. Shipping water between zones leads to enormous social stresses, even though our situation is not comparably severe to Arizona’s or Nevada’s. 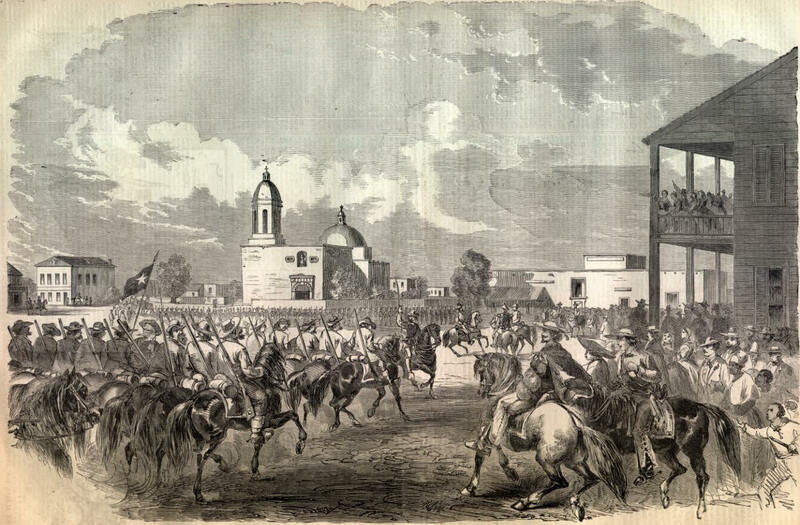 I have heard people talk about this in tones that have sufficient hostility as to make me think they carry tinges of the old blood feuds between Texans and Mexicans. Here’s an article to give you the flavor. San Antonio is being driven toward a coastal desalination plant, even though water in Texas at large is not scarce. So this brings back the question of the size of the hinterland. To make matters more complicated, the demographics of Texas is swinging away from the good ol boy politics (that has been embodied by Republicans for the last two generations). Eventually the Democrats will prevail, and the influence of San Antonio (and other hipsanic communities) will increase dramatically. I don’t see anybody saying this, but the time will come when water may actually be shipped to SA from the Brazos or even the Sabine. It’s nothing near as absurd as happens further west. It’s also worth noting that this isn’t about drinking water. It’s about lawns! And this brings me to the local vs global. It applies in water as in so many other things. Collectively, there is abundance globally. But political energies appear to be about protecting localities and nations. All the talk about the benefits of trade seem to count for nothing as far as collective resources go. Canada has enough untapped (ahem) water to supply US and Mexican agriculture forever. Yet the topic is a tremendous hot button in Canada. I wonder why we are so bad at thinking as a global community.